Also English is not our first language so excuse us if we used the wrong typographic terms. We hope it’s still readable. We wanted to create a modern typeface that references and gets people interested in the history of how the individual letters developed and came about. Thats why there are uncoventional characters for a grotesque typeface and also why a lot of characteristics (hard counters that connect to the stem) reference old blackletter style. 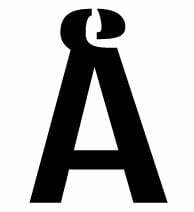 For example the diaeresis (¨) was first an e that was written above the letter to modify the sound of the vowel. 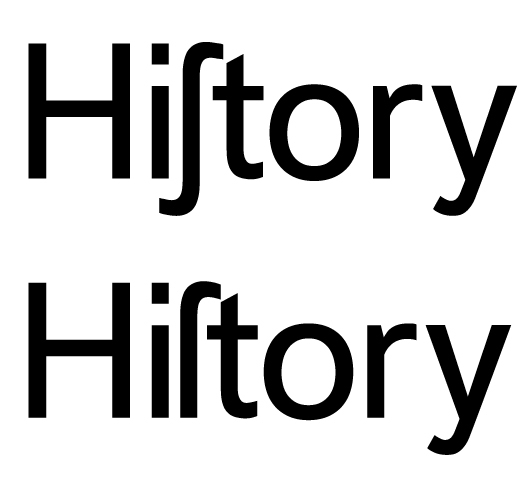 Also we used the old characters of the long s and the old variant of the hyphen. For the look and feel we referenced the classic german grotesque typefaces of the 18th century (venus, royal, ideal grotesk to name a few). We don’t really think that we will have a final version in the next months so we are just beginning! Welcome to the world of type design! This makes for a great learning exercise, but to me it's too conventional to bother taking all the way to a finished product. As a beginner it's tempting to throw in novelty to escape conformity, but it paradoxically takes experience to know what works... Case in point: I think in this context the "e" diaeresis is just jarring. Your curve quality is pretty good (except in the "a" and "s" – two difficult characters) but I noticed the following vertical alignment issues: your "g", "j" and "y" seem to be descending to different depths; the caps are as tall as the ascenders, which makes acronyms stand out too much. Also, the "u" is too wide. You are right, the “e” diaeresis is still very rough and not yet finished. Do you see ways in which we could make this work better? We are very keen on it and it is a part of our core concept. We will of course make another version with normal tremas, no long s, normal divis and so on for the more regular use. Thanks for your other corrections, we are continously working on curve quality and withs and heights of the individual letters to get a more even looking typeface. I hope we can post an update soon! As someone who usually doesn't much appreciate grots, I find this refreshingly different and rather charming. The tight spacing works very nicely. The hyphen and dieresis are really quite riqué... but perhaps you could get them to work with just a bit of tweaking. I would suggest making the strokes of the hyphen a bit thinner and giving it some more horizontal space. Currently, the words just meld together, making them hard to read. I agree /a and /s need the most polish in terms of curve quality, and I would add the tail of /g to that list. I also find the almost-smooth transition of bowl to stem in /g a bit jarring — I would either increase the joining angle (as in /b, /d, etc.) or smooth it down completely. I'm a big fan of the long /ſ, but not so much of this implementation. The top feels clipped, and I regard the spur as a serif rather than as a letter component, so I would leave it away. In my opinion, almost all sans typefaces are better served with a spurless /ſ, and I even prefer it in many serif typefaces. BTW, there's no need to «remove» the /ſ from the «well-behaved» version of your typeface. It has its dedicated Unicode slot. BTW, if you're feeling adventurous, you could even add a few more blackletter-style quirks, such as a /P with a full-height body and a descender, /H and /K with overhead arches, lowercase-style /N and /M, etc... maybe as a third export font, so as not to weigh down your default font. 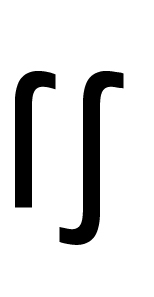 Yes we are currently workig on the diaeresis, we really liked the idea but it turned out harder than we thought. We have definitely to work much more on our characters. Your input about more blackletter-style quirks is really interesting, we‘ll consider doing a version with even more blackletter characteristics. Since you‘ve designed a couple of blackletter-styled typefaces we are very appreciate of your suggestions. > You are right, the “e” diaeresis is still very rough and not yet finished. Do you see ways in which we could make this work better? Of course, the idea of blackletter characteristics in a modern typeface is not entirely new. Samara: I'm not sure how much use I will be, since I am mostly ignorant of the historical evolution of blackletters over the centuries. My typefaces tend to be contemporary interpretations on the matter, unfettered from historical constraints (which is not necessarily a good thing, depending on whom you ask). However, I'm happy to see what you guys come up with and occasionally to add my mustard, as it were. Actually it's way older than Andron. You don't need smelly old formal instruction to be inspired by blackletter. Even just perusing a copy of the amazing "Fraktur Mon Amour" can be enough! Third Swiss in this thread, hi! As the others said, you have mostly decently drawn curves. I think the concept right now is too intellectual, and not enough visual for a successful typeface. The impact of your intellectual concept on most of the letters is very unclear to me. You mention the curves hitting the stems straight-on, which function relatively well. And of course the very visible ü, long s, hyphen. But those three are quite specific characters, and your solutions for them are extreme. I’d be interested to see your base concept put to use across the typeface’s base characters a bit more visually, more directly. Because right now, it pretty much just looks like a grotesque with hard curve/stem connections. I think your main problem with bringing in more blackletter aspects is that your typeface isn’t very calligraphic, and thus more calligraphic aspects will quickly look out of place, non-organically added on top of an existing design. I hope you two don’t misunderstand my feedback as too harsh, I don’t mean to be discouraging. Refining and sthe concept of a typeface is hard. Good luck with your design! Blackletter does not have to be calligraphic. Hi everyone, thanks a lot for your input! We have worked hard the last few days trying to clean up the typeface, correct the curves of the current letters and develop some new ideas. We haven't had time to work on the diaeresis yet as we are both working full time and only have time to stare at letters in the evenings hahah. We decided that we still want to try to implement it, but in a more cleaned up and generally more visually working manner. Below is attached a PDF of our cleaned up typeface. We tried implementing all of your critique regarding the look of the different letters, we also adjusted the weight of the caps to give them less white space as we felt they were too light in comparison to the lowercase letters. For the long s, we tried several variants and couldn't really decide on one yet. which do you like most? However I'm not sure we are quite there yet. It seems that most implementations start to steer away from a grotesque really quick and we want to keep the core idea of the typeface – creating a grotesque with blackletter feel, referencing mostly german type history. But it should still be a grotesque hahah. As you said @Thierry Blancpain we have to implement it more directly on the base characters, we are working on it! We'd love to see any further feedback! You might want to look at Jürgen Weltin's "Yellow" typeface. Long-s: I like the top-middle one, but maybe with a descender. Curves are better now. Top of /a still looks weird; move the apex right. Long s: Stroke must end horizontally to fit the grotesque theme IMHO. Examples are difficult to compare since spacing is so different. Top middle has best spacing, but middle left has best shape IMHO. Consider using a long s–t ligature. Descender improves legibility but is perhaps unhistoric for an upright? Here's a sketch of what I'm suggesting. Given the historic aspirations, I also reduced the height of /t a bit. Back in Carolingian days, it was barely taller than the /n. To me not looking like a neutered "f" trumps hermetic type classification consistency (which only designers really get all afflutter about). I don't think it's in danger of being interpreted like that when the spur is missing. A sigmoid descender would help legibility among the unwashed masses, though, if that's a goal. Personally this long s is the most satisfying, in that it feels like a alternate reality interpretation of the original form—with a few historical steps removed between textura and grotesque. It's also my favorite because it looks like an "s". If you're going that way, I think a descender is a must. I hit disagree on Christian's comment but feel like I should elaborate: this is going to be more interesting the more offbeat the solutions are, and smashing the long s into the baseline to ascender space feels like an early grot move to me. Those types were trying to navigate what the sans serif genre was when those forms didnt exist, and that feel like the moment thats worth mining for this effort. I have mentioned on other threads that textura-mimicing is more than the specific shape or pen angle, but also the extremely regular and monotonous spacing. Picking grotesque as a base genre actually could lend itself well to emphasizing that aspect, since square proportions won't feed out of place. To that extent you could easily make your caps much wider and less varied, and the lowercase much less tightly spaced. You might also consider the weight of the stokes, as the textura side of the pairing would have a very equal amount of positive and negative space in the lower case (of course depending on the specific style, this varies). Overall youre quite light at this point. I would also consider the level of detail you both have put in the tails and off strokes. They might be too timid, and they look quite modern. 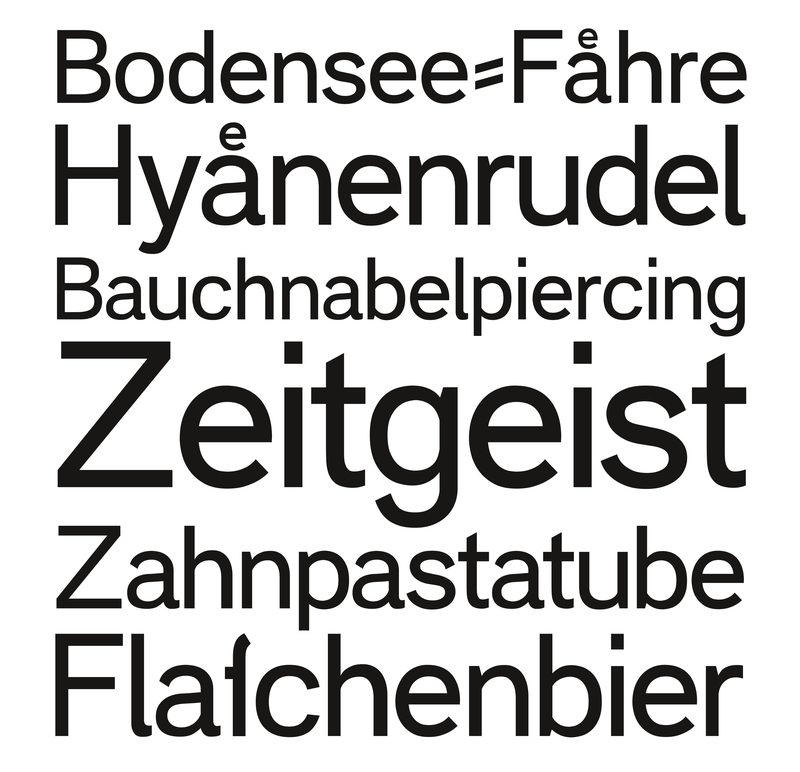 If you go towards a more early grotesk model they will feel more out of place. Thank you so much for your input everyone, it's quite a lot to try to process and implement hahah. We currently like the first two the most, but we couldn't really decide, so what do you think? Here, we strongly favour the third, fourth and sixth one but think the third or fourth works best corresponding to our concept of showcasing the history of how it developed. Of course we'd love any input on this too! We also finally got around creating the numbers! This looks really interesting! It's executed beautifully! We will look into it for inspiration when working on our iterations. We just have to watch out as it might steer away from our «early grot» concept we had really quickly. @Jack Jennings your input with the monotonous spacing, wider Caps, wider spacing, stronger weight and less details is extremely interesting and could be a great solution to our conceptual problem of it being not enough visually «Blackletter»! We are actually still thinking about that problem, and at the moment we are playing with the idea of creating a hybrid font family, from grotesque, all the way to blackletter (leaving out the antiquas, unlike the usual hybrid fonts). We know this will take a long time to properly develop but we are not in any rush as it is our first typeface and the main point is to learn as much as possible about the history, letter forms, how to properly form a concept and executing it and so on. Also we would be sad to scrap some of the curves we worked so hard for hahah. Whats your opinion on that? Love to hear all of your feedback! Your sixth ampersand is my favorite structure. I'd just make it more bottom-heavy. I'd caution that you don't attempt to fit too many ideas into this endeavor. This is the pitfall into which nearly every first attempt falls. There are still a lot of questions that are unresolved at this point about what your aspirations are for this project. Is this purely an academic pursuit? Is it a learning exercise? Does it need to have a practical application? Do you want to sell this? And if practical: in what contexts? Sizes? Audiences? etc etc etc? About the diaeresis, you might want to investigate the solution for "e" in the Kurrentschrift, that is more or less the German handwritten Blackletter, or the derived Suetterlin. 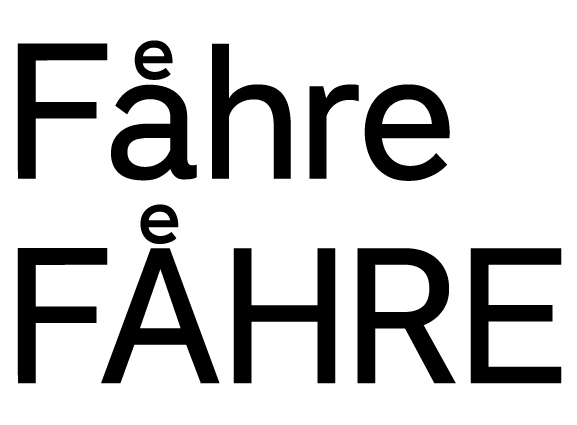 It looks a lot more like the current diaeresis which might help the readability (basically like an angular letter "n" http://www.suetterlinschrift.de/Lese/Alphabet.gif ). I like the overall shape of your /2, but I think the terminal shouldn't be tapered as it is now (too narrow at the end). Not fond of the new /longs... the curves don't fit the boxy/circular curve philosophy of comparable in- and outstrokes, and the spacing is extremely narrow. 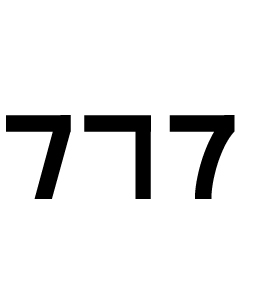 How about an /ß based on /longs+/s rather than /longs+/z? Bottom of /J needs work. And perhaps /G's chin could be lowered a bit? @Adam Jagosz Thanks for the link! Looks like "meinen" is the Kurrent version of Russian cursive "лишишь", both look completely illegible to foreigners. Thanks for the helpful inputs! Sorry for the late answers, we are a bit buried under work and don‘t get to work on the typeface as much as we‘d like. At the moment, we are unifying the terminals and characters. We hope to be able to post an update soon! We are currently flirting with the fourth and the seventh one hahah. Still not quite sure yet. How would you go about making it more bottom-heavy? Our typeface is mainly a learning exercise (thats why we tend to try out a lot of things – because we‘ve never done it before and want to get some experience) at the moment and we first of all are trying to build a display Typeface, that could work good on posters and heavy headlines. We will probably be scrapping a lot of stuff that doesn‘t work conceptually or stylistically, we just have to figure out a bit better, what exactly that is and why. Yes you‘re right we also realized that our concept might need some depth. It’s very difficult to choose what could work as best on the typeface without losing the character of it. But that‘s part of learning, right? on the /longs: We tried to adjust it parallel to the /f and /t. But we have to try out a solution more like your sketch. 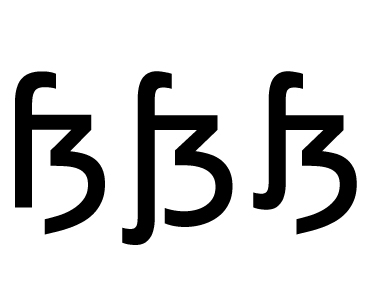 The /ß based on the /longs+/z sounds like a really cool concept, we‘ll have to try it out. We don‘t know it it‘ll fit conceptually though, as we want to show how the initial letters developed. It might be a more abstract solution to the concept though. > How would you go about making it more bottom-heavy? Just make the bottom bowl bigger and the top smaller.